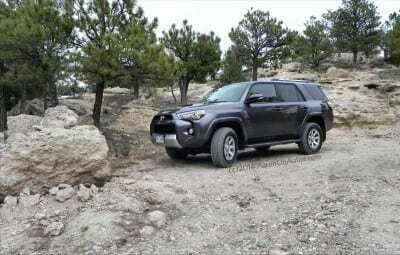 The 2014 Toyota 4Runner Trail is everything the 4Runner should be. It’s big, truck-like, and very offroad capable. 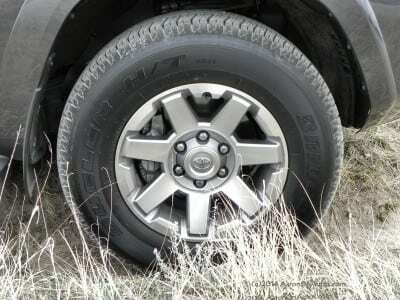 This is what started Toyota’s top SUV in the market and it’s what those who buy it should want out of their sport ute. 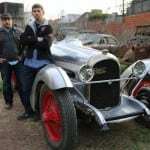 It’s the last of a slowly dying breed of vehicles in the American landscape. 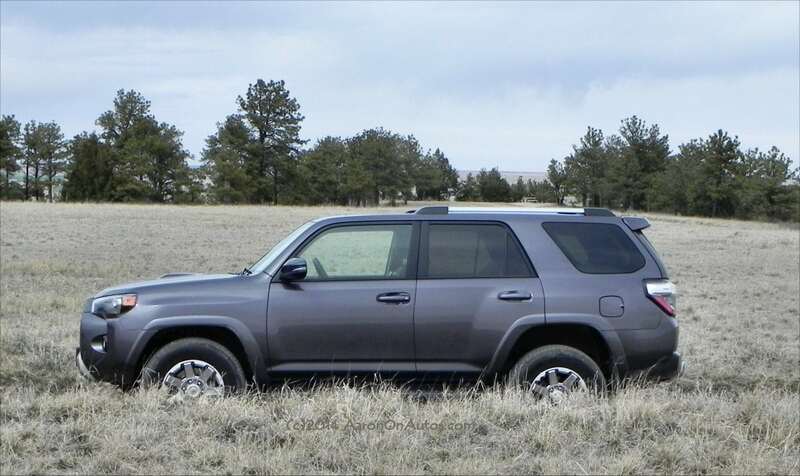 Back in the 1990s, the Toyota 4Runner enjoyed a reputation for being one of the best offroad machines with an affordable price tag that you could get. 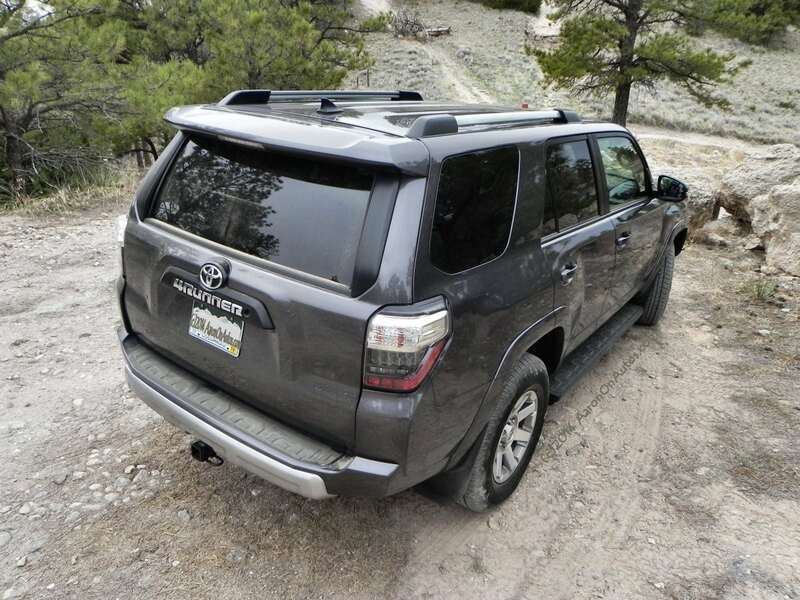 It was right-sized for family and friend hauling, had a solid six-cylinder performer under the hood, and could climb trails and dig through harsh terrain with the best of them. Fast forward to 2014 and the 4Runner Trail continues that tradition. For the 2014 model year, Toyota gave the 2014 4Runner a refresh to update the style and interior of the SUV, but it is otherwise the same as the current-generation 4Runner. The 2014 Toyota 4Runner Trail is the middle child of the 4Runner lineup, with the entry-level SR5 below it and the top-level Limited Edition above. We will review the Limited soon. 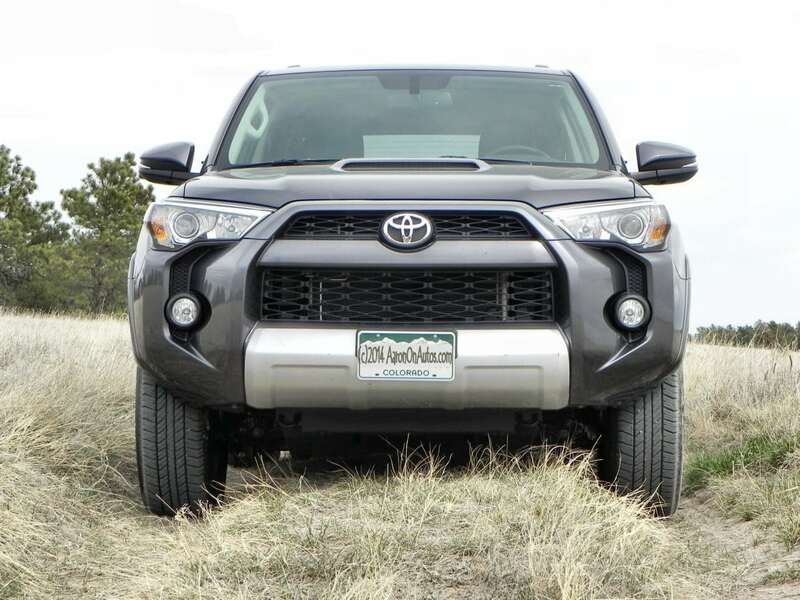 In our opinion, the 2014 4Runner Trail is the best-looking of the 4Runner model lineup with it’s more aggressive front grille to match the peering headlamps and the hood scoop to denote more power in concert with the bulky front fenders. 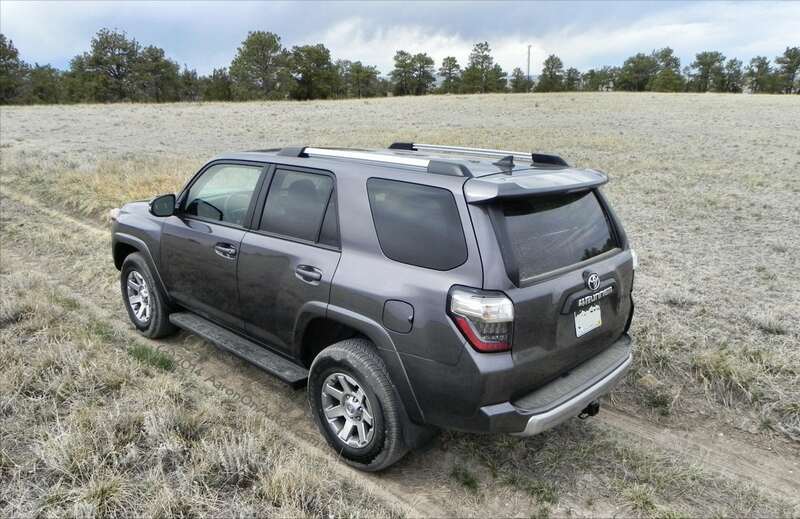 The belt line for the 4Runner runs straight along the doors to the rear quarter, where pillars are slanted rearward and down to give an impression of speed and break up the “big box on wheels” appearance most SUVs begin with. The sporty spoiler above the hatch is a nice touch and the strong indent under the doors, just above the (optional) running boards, complements the flaring fenders at the front and rear which house beefy tires and various alloy wheel options. Although it’s a big, rectangular box at its core, Toyota managed to give the 4Runner a fair amount of appeal. Overall, the Trail edition has a more aggressive look that we like. 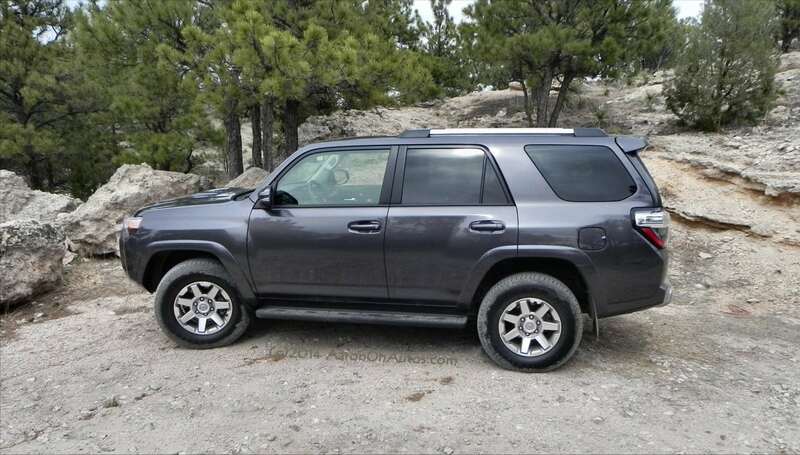 The 2014 4Runner Trail is well-equipped for the average buyer. The SofTex seating is standard in the Premium package as we drove it, but the lower-end, treated cloth is also very good. 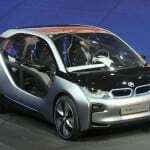 The usual array of technology, including Bluetooth, satellite radio, heated seats, keyless entry and so forth are all there for the offing. In the Premium, most of the higher-end amenities are accounted for. As with most of this-generation’s 4Runners, however, the layout is not always ergonomic and some control positions seem a little odd. The window controls high up on the sill are still up there, just waiting for a pile of snow or torrent of rain to come in and short them out – though in the Trail it’s just as likely to be mud. 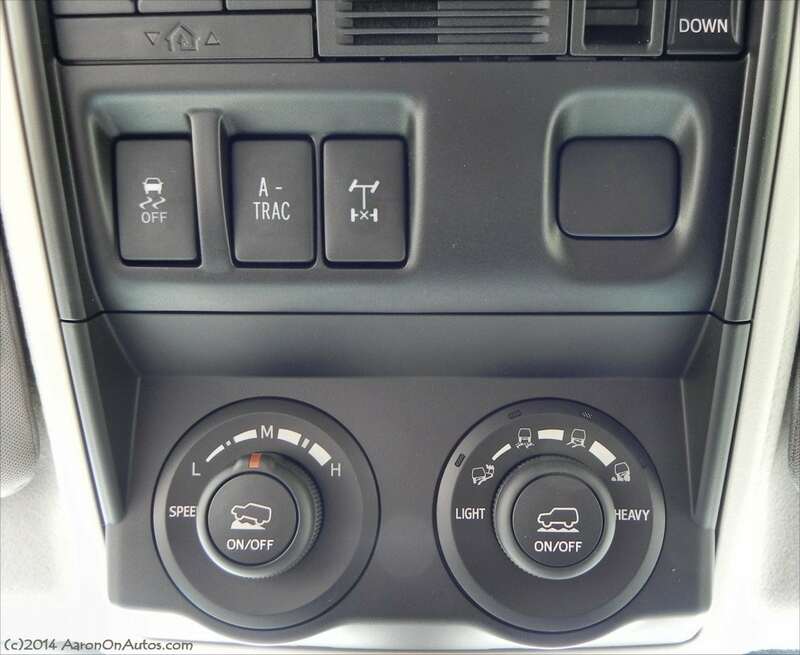 At least the Trail edition drops the odd little dial shifter for four-wheel drive control in favor of a more traditional knob-style shift with a 2WD option for improved economy. The dashboard, shift lever, door panels, and many of the storage cubbies and drink holders are all hard plastic that, while not cheap, isn’t all that premium either. This isn’t easy on the eyes, but serves a purpose as it is easy to wipe these surfaces down when the inevitable muddy hands, dust, and so forth begin to show up. And they will. As an option, a cool party tray can be had for the rear cargo space. For about $350, you get a rack on the floor of the rear cargo that slides out when the hatch is opened, extending the space in a sort of tailgate. It’s capable of holding 440 pounds, so it can actually serve as a tailgate party tray. It lifts upwards to allow access to an under-storage box as well. That sliding tailgater tray is augmented by a 120V outlet and extra lighting at the back and the premium stereo option allows you to pipe the music to the rear with a couple of button presses. 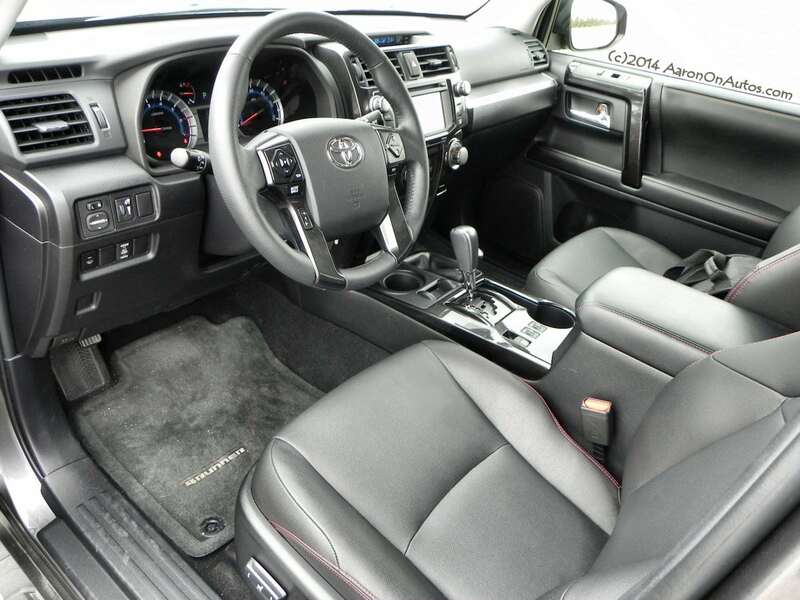 There is no third-row option in the 4Runner Trail package, but with comfortable seating for five, it’s not likely you’d need it. For family hauling, Toyota offers the Limited package instead. 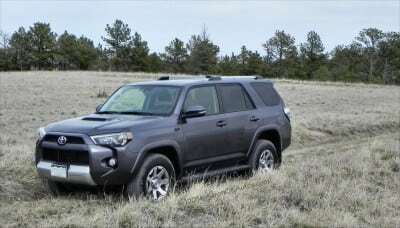 The current-generation 4Runner utilizes a 4.0-liter six-cylinder engine going through a five-speed automatic transmission. Despite the hood scoop, though, the 4Runner Trail is no more powerful or speedy than its SR5 and Limited family members. For those wondering, that hood scoop is cosmetic only. This powerful V6 outputs some good muscle, however, pressing forward with 270 horsepower to drive the 4Runner with an 18 mpg combined EPA rating. 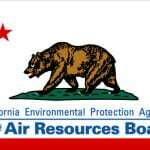 Though the EPA says the 4Runner Trail can do 17 in the city and 21 on the highway, most will find it hovers closer to the 16-17 mark in everyday use. 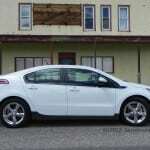 Even on a long, 120-mile highway drive, we only managed to average 18 mpg. 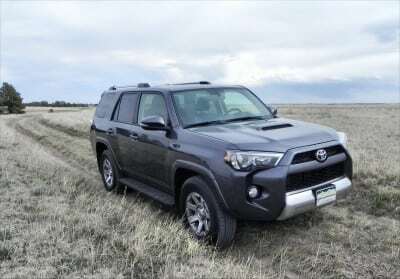 The good news is that whether you’re accelerating to get ahead of a truck or powering the 4Runner up a hill, that engine and transmission offer more than enough oomph to make it happen. On the road, the 2014 4Runner Trail is comfortable, but truck-like. Those who aren’t prepared to give up their sedan’s ride on the highway shouldn’t be looking at a 4Runner Trail except as a plaything. Although the 4Runner is built well for family hauling and everyday use, it’s really made for going off the pavement. 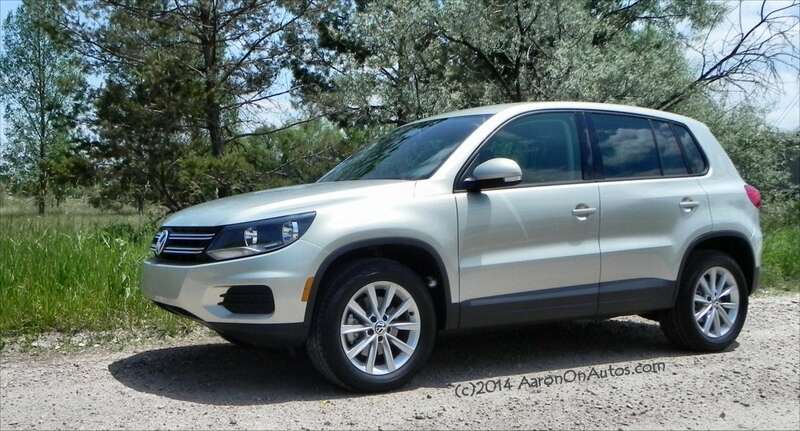 If you aren’t worried about maneuverability in the parking lot or being able to haul your kid’s entire soccer team, though, you won’t mind the people-hauling the Trail is capable of doing. As with most SUVs and trucks, the 4Runner enjoys a commanding view of the road, good acceleration when it’s needed, and the ability to hop the curb when required. It rides as well as can be expected, though the beefier offroad tires and some of the trail equipment it has do actually smooth out the ride somewhat in comparison to the less-offroad capable Limited package. 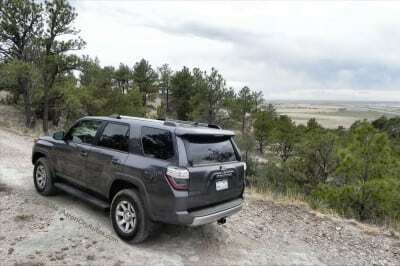 Away from the pavement, of course, is where the 4Runner Trail really comes into its own. Like a Laborador fetching sticks from the lake, it just doesn’t know when to quit and has more capability than you likely imagined it would. You get tired just watching it do its thing. Confidence comes from the myriad of controls that, while they do have a learning curve, are well-worth the effort. 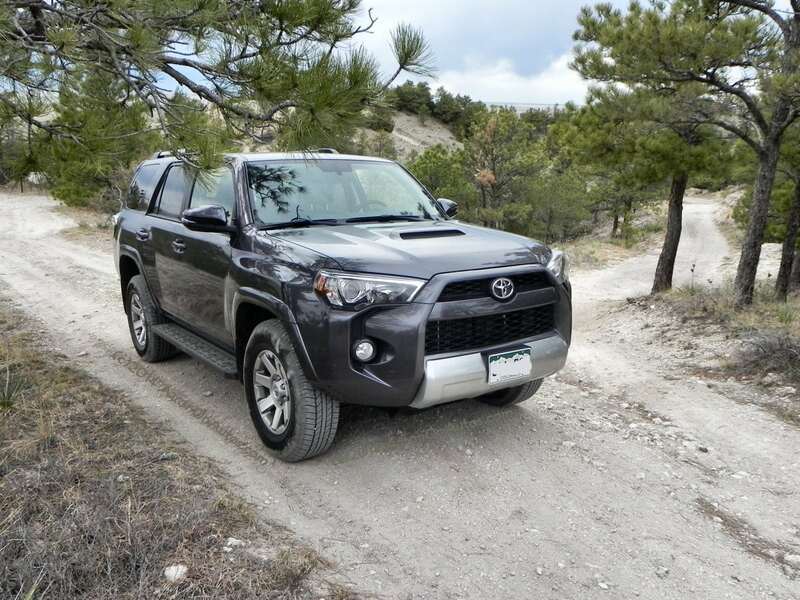 Crawl Control, Hill Start, Downhill Assist, Multi-Terrain Select, and KDSS are just a few of the many switches and dials you’ll find in your 4Runner Trail. If you’re serious about offroad, you’ll like the options Toyota gives you in this SUV. That last one, KDSS, is the Kinetic Dynamic Suspension System that is a fun piece of hydraulics that disconnects the sway bars to improve wheel actuation, giving much more reach when it’s needed. It’s a pricey option, but for serious rock climbers and hill junkies, it’s well worth the money. 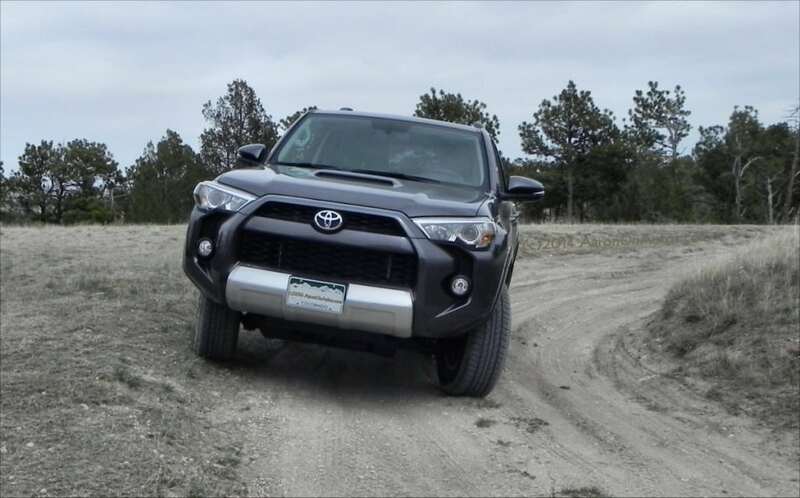 This may be the 4Runner’s greatest claim to fame for sand, hill, and rock busting. There isn’t much in the full-on sport utility market anymore, with most of the 4Runner’s competition having gone the crossover route or into the luxury market. The Nissan Xterra is a close competitor as is the Jeep Grand Cherokee. Though smaller, the Jeep Wrangler is also a contender. Against the Xterra, the 4Runner Trail is about even when all is added up. The Xterra has a few more tricks and a few less comforts to go with a somewhat smaller window sticker. The Jeep Wrangler, to be comparable with the 4Runner Trail package, is pricey and not as large or versatile for everyday use while the Grand Cherokee is more luxurious and is also higher-priced by comparison. Honestly, most buyers in the fully-capable SUV market are aiming for style and capability rather than bottom line price or specific creature comforts. 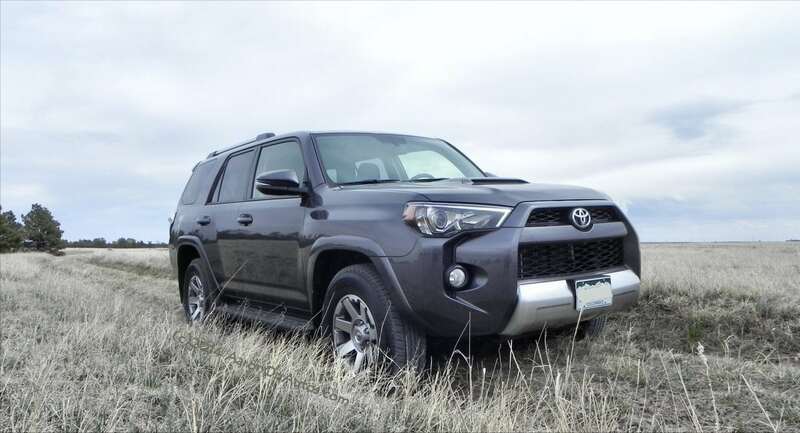 Like Jeep, the 4Runner has its own provenance that consumers buy into. Very capable offroad and on, with most of the family-friendly amenities you’d expect along with some of the best off-pavement options you could ask for. More comfortable than expected, though it’s still a truck and buyers should expect it to be less smooth than a car-based option. Average fuel economy despite the 2WD availability in the shifter. Clunky ergonomics inside, most of which are endemic to the 4Runner family. 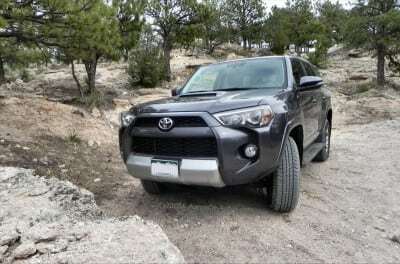 The 2014 Toyota 4Runner Trail is exactly what those of us old enough to remember the SUV’s birth back in the day remember it to be. It’s strong, solid, capable, and the outdoors enthusiast’s dream. It climbs, crawls, bogs, and otherwise articulates through the landscape on par with many of the storied names in the offroad SUV annals. 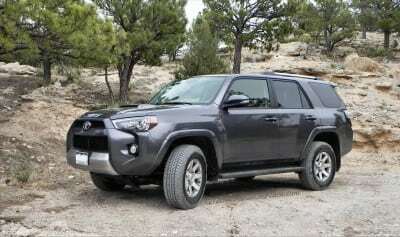 This is, frankly, what the 4Runner should be. The 4Runner was a manufacturer’s press loan and was driven for about a week. A total of 460 miles were put on the SUV in a mix of urban, city, town, highway and freeway miles as well as light and medium offroad.